A member representing Dutsin-ma/Kurfi Federal Constituency at the House of Representatives, Hon. Mohammed Kurfi Danlami has commended the Acting President Prof. Yemi Osinbajo for sacking Mallam Lawal Daura, the DG of the Department of State Services after his men laid siege to the National Assembly complex preventing lawmakers and civil servants from gaining access into the building. Kurfi who is deputy chairman House of Representatives Committee on Petroleum Resources Downstream in a brief chat with newsmen in Katsina on Wednesday said the action of Osinbajo was timely, necessary and in the best interest of Nigeria's democracy. "What happenned on Tuesday is shameful and should be condemned by all lovers of democracy and I expect people not to politicise it. It was a disturbing development coloured with extreme violation of constitutional order. "But what gladened my heart most was that the act of barbarism on Tuesday wasn't authorised by the Presidency. I see Prof. Yemi Osinbajo as a hero who will forever stand tall as a patriot for taking that great decision. It was necessary and in the best interest of Nigeria's democracy. I strongly agree with other parliamentarians who said every Nigerian must rise and stand up to defend democracy now or suffer the consequences of a system with dictatorial tendencies." 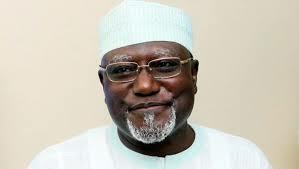 "I have a lot of respect for the ousted DG of DSS, who I always know to be highly disciplined and professional in his conduct, but what happened on Tuesday was still a surprise to some of us and I expect the Executive to dig further and get to the root of the matter. It is unbelievable that security operatives will invade a Federal institution that constitutionally enjoys parliamentary immunity. Again, Daura shouldn't be the only man who will go down in this instance, everyone involved in this reprehensible act must be exposed and made to face the full weight of the law without delay. Kurfi stated. It would be recalled that the blockage of the Assembly complex had generated reactions from Nigerians and the international community. In various videos posted online, security agents, some of whom were masked mounted the entrance to the National Assembly complex though they later allowed lawmakers to enter but continued to bar government agents and journalists. Before Lawal Daura's termination, he is a key member and kinsman of President Muhammadu Buhari, who is also from Daura, Katsina State. Many believed he is one of the untouchable personalities in the federal cabinet.